Bayer Leverkusen dug deep to hold Bayern Munich to a 0-0 draw at the BayArena, with Ömer Toprak’s performance typifying the hosts’ resilience. Click here to sign up Toprak for your Official Fantasy Bundesliga team! He hooked Arturo Vidal’s goal-bound effort off the line in the first half – and celebrated like he had scored the winner! But the 27-year-old wasn’t done with the heroics and he helped marshal the defence following Tin Jedvaj’s sending off after the break to keep the Bundesliga leaders at bay. Were Toprak’s heroics enough to make him the #BLMVP for Matchday 29? If you think they were, then cast your vote now! 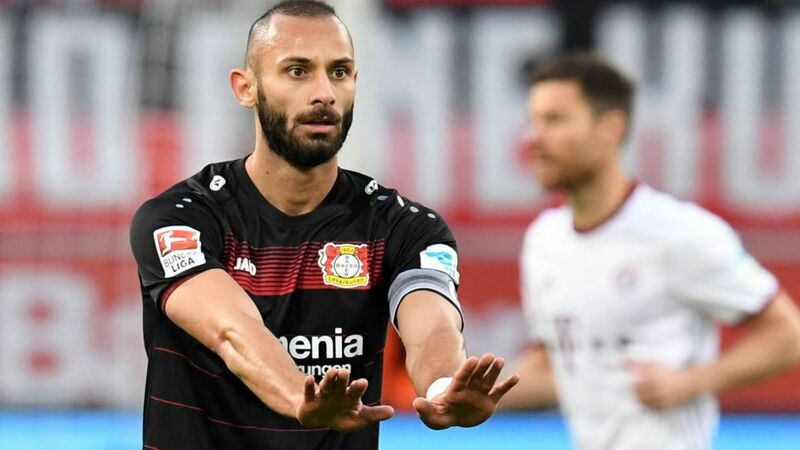 Toprak helped Leverkusen shut Bayern out for the third time in a row at the BayArena.He covered a distance of 10.29km, up on his average for the season of 9.65km.His efforts ensured that Leverkusen have still not conceded a first half goal in six Bundesliga since Tayfun Korkut took over as head coach.